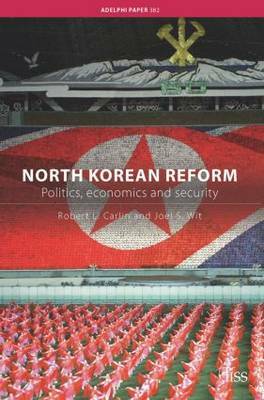 In the past, foreign policy and security concerns have trumped any efforts to reform the North Korean economy. Today, the linkage between security and economic policies is being reconsidered as part of a larger debate in the North Korean leadership that has already transformed the country in fundamental ways. Despite renewed tensions with the United States, North Korea has begun to implement important economic reforms. Moreover, underneath the cover of the ever-present `military-first' slogan in the controlled media, a debate is taking place between `reformers' and `conservatives' over whether Pyongyang's bloated military industrial complex should be scaled back to help ensure the success of economic reform. Not only do these developments reflect strong political forces in the North Korean leadership that support reform, but they could also have profound implications for the future of Pyongyang's national security policy. North Korea may decide that it will need a more favourable external security environment in order to secure greater access to international economic and financial assistance for its reform measures and, ultimately, downsizing its military. Pyongyang could launch a new policy of engagement that would include greater flexibility in the Beijing Six Party Talks. A second scenario is continued internal struggle over reform that could lead to an inability to act decisively on key security and foreign policy issues, including at the nuclear talks. Finally, progress in reform may, paradoxically, strengthen conservatives, leading to hopes in Pyongyang that it can improve the economy, while simultaneously maintaining a large powerful military. Whether Washington can do anything at this point to influence directly the emerging debate in Pyongyang is unclear, but a renewed policy of engagement on its part could enhance the chances of success for North Korean advocates of reform.